How do James Rodriguez and Neymar match up in the 2013/2014 season? Both No. 10s have been playing brilliant so far at World Cup 2014, and have done relatively well for their respective clubs as well. James Rodriguez plays for French Ligue 1 side AS Monaco, while Neymar plays for Spanish La Liga club Barcelona. Check out some of their key stats from WhoScored.com in all club competitions for the 2013/2014 below. 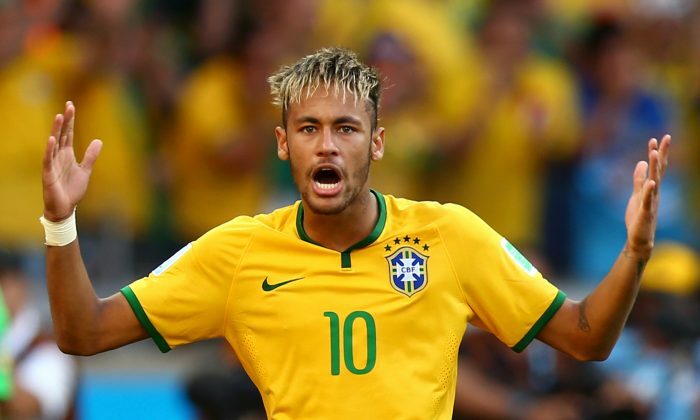 FORTALEZA, Brazil (AP) — Brazil striker Neymar and Colombia playmaker James Rodriguez have led their teams to the World Cup quarterfinals, dominating the attention and the scoring. Wearing the No. 10 jerseys, both have lived up to expectations so far, enough to be included in discussions about the tournament’s best players along with established stars such as Lionel Messi and Arjen Robben. Rodriguez has been one of the tournament’s sensations so far and has helped Colombia get over the absence of star striker Radamel Falcao, who missed the tournament because of a knee injury. It didn’t take long for Rodriguez to become the focal point of a Colombia team that won all of its four matches seemingly without any real difficulty.